Tourists visit Shanghai because it is historical and modern, oriental and westernized, a strange yet exhilarating must-see destination. 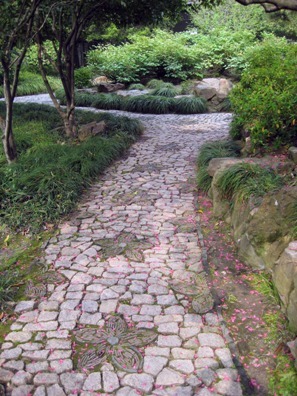 The best locations to observe and relish these multi-faceted qualities, to one’s surprise, are Shanghai’s fine gardens, found in both the urban and suburban districts. In ancient China, artists and literati created splash ink paintings and composed poetry to commemorate their travels and Nature’s wonders. Some wealthy or aristocratic individuals went a step further. It is well documented that many masters constructed magnificent private gardens with gigantic, peculiarly-shaped rocks they transported back home from faraway places, sometimes bankrupting their families. Today such architectural undertakings would be viewed as destruction of nature. YuYuan Garden, a sumptuous artificial oasis infused with the opulence and elegance of yesteryear and adorned with elaborately-designed ponds, bridges, halls, corridors and verdant landscaping, was built in 1559 during the Ming Dynasty. Visitors are presented continuously with image after image of delightful garden scenery out of some enchanting ancient Chinese novel. Upon leaving the park visitors are greeted by the liveliness and clamor of the surrounding commercial area — the oldest and most touristy part of Shanghai, seemingly a world apart. If you wish to be somewhere where you can whisper or shout amidst bamboo trees (one of “Four Noble Plants” in Chinese art) swaying in the wind, closely examine a splendid peony blossom (considered the finest flora in Chinese culture), saunter on exquisitely-paved cobblestone paths at any chosen speed, and photograph your stroll to an ancient pavilion or on a stone bridge without waiting in line, visit QiuXia Garden. Constructed in 1502, also during the Ming Dynasty, QiuXia Garden is in suburban JiaDing District. You’ll unearth a most precious hidden gem of vast Shanghai. YuYuan Garden and QiuXia Garden are two of the five finest classical botanical gardens in Shanghai. The other three are QingPu District’s QuShui Garden, also called the Garden of Meandering Streams, JiaDing District’s GuYi Garden, and SongJiang District’s ZuiBaiChi Garden. It will not be excessive for you to visit all five gardens as each is unique and indelible in its own way.